We hope you have started well into the new year 2019! 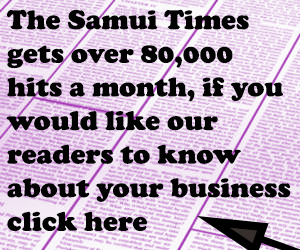 I believe it was quite frightening for everyone in this area, when we were all advised to exercise extreme caution at the very beginning of the year when Koh Samui braced for possible severe weather conditions caused by tropical storm Pabuk. Of course we – on Samui – were very thankful that Pabuk slightly changed its course and didn’t hit the island as bad as first expected. We don’t even want to imagine what could have happened. Even with Pabuk not hitting the island, we got a lot of rain and pretty heavy winds – heavy enough that several trees fell over and unfortunately many dog houses at the shelter got demolished. Nevertheless we are very thankful that no animal was injured and we’ve started rebuilding the damaged shelter places already. 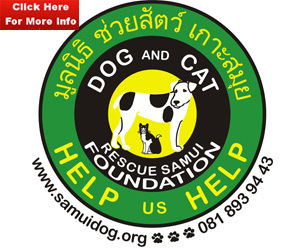 We are always very thankful for any kind of food donation, dry food or tin food for our dogs and cats. 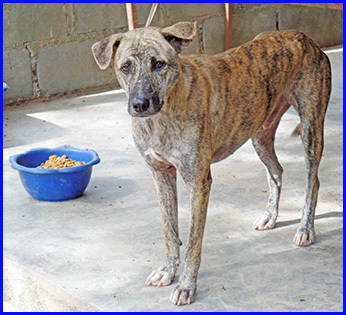 We especially appreciate dry puppy food and cat food donations, THANK YOU.